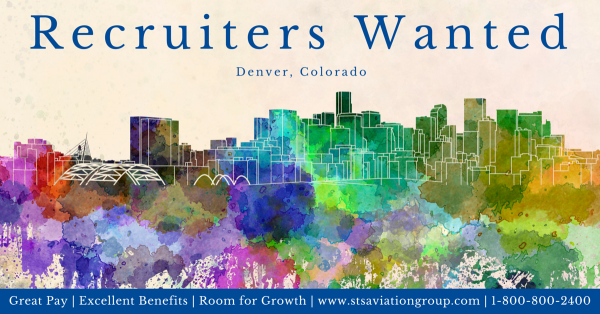 STS Aviation Group is currently seeking Recruiters & Recruiting Coordinators to join our award-winning team in Denver, Colorado. Ideal candidates will have prior experience in the staffing industry, be fast learners, excellent communicators and more interested in forging a career than simply working another job. Interested candidates are invited to send resumes directly to: bryan.shaw@stsaviationgroup.com. If you have questions or require additional information, please call 1-800-800-2400.